Sponsored by Champaign Park District. It’s time to ring in 2019, Champaign-Urbana! It’s winter break time in Champaign-Urbana, and the holidays are almost here! 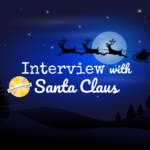 Interview with Santa Claus: North Pole Secrets Revealed! From his favorite cookie to the most unique gift request he’s gotten this year, we’ll tell you more about Santa and how he uses both magic and science to make holiday dreams come true year after year. Sponsored by State Farm Center: Sesame Street Live. Holiday fun turns up a notch this weekend in Champaign-Urbana and beyond! 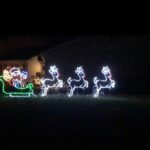 Looking to get in the Christmas spirit? Head to Candy Cane Hills to check out one neighborhood’s holiday tradition!